Each Chemical element is given a unique Atomic Number often referred to as a Periodic Table Number. The atomic number, or Periodic Table Number, is the number of protons in the atom. 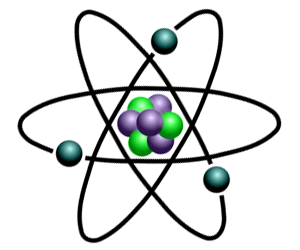 Atoms must have equal numbers of protons and electrons. The chemical elements of the periodic table are listed in order of atomic number (Periodic Table Number). In 1913 Henry Moseley determined the atomic number (Periodic Table Number) of each of the elements and modified the 'Periodic Law'. The following list provides details of each of the elements in the Periodic Table together with their Periodic Table Number (Atomic Numbers). For additional info and facts about Periodic Table Number (Atomic Numbers) click What is an Atomic Number? Click on the link to an element to discover additional facts and information about the element.